This morning the Moonhowlers all met up at the Shrine of Pelor for breakfast. Well, everyone except McCreedy, who had been eerily absent since we put the smack-down on the Ebon Triad a few days ago. As I sat down at the meager wooden dining table with six rasters of bacon and a plate of sliced pineapple, Braeden, our priest of Pelor, raised his mug of morning-mead and gave a toast to his gathered friends. “I, for one, would like to congratulate my friends, the Moonhowlers, on another successful mission! Hear, hear and a set of cheers, to boot!” he shouted across the table. Karina, our strange and mystical tiefling, raised her mug of chilled goats’ milk and smiled gleefully. Kenric, the Moonhowlers resident wizard, smiled and nodded, tipping his mug of hot tea in our general direction. The pale Sule warrior, Listens To Wind, leapt upon his chair and sloshed orange juice all over the table as he heartily joined in the toast. And I let out a “Hear! Hear!” as I raised my stein of strong ale high. “And here’s to some well-deserved peace and quiet,” I added. The past few seasons had been a whirlwind of action, danger and intrigue for the Moonhowlers. It had started last year with a spate of mysterious kidnappings in town. The Moonhowlers had tracked the crime to a gang of slavers from the Underdark who were operating in an abandoned dwarven Hold below the city of Cauldron. We smashed the slavers, returned the survivors to their homes and liberated the dwarven fortress. We had a bit of rest before the Harvest Festival and Listens To Wind’s improbable success at the annual Elparg Wrestling Tourney. That was pretty fun. After that it was a gang of goblin graffiti artists terrorizing the streets. The graffiti eventually led us to a vampiric bugbear living under the city. We dusted him, but then tussled with the Church of Wee Jas over the fate of the monster’s corpse. Then there was the Meet The Moonhowler’s Party, the Flood Festival, The Demonskar Ball, the liberation of the Lucky Monkey Inn outside of Cauldron and finally the defeat of the Ebon Triad. Kristoff, the High Priest of Pelor, and resident thespian with a flare for the dramatic had just wandered in from the church kitchens. Braeden looked confused and then his eyes grew really wide. He looked around the table, his mouth stuffed with buttered toast. He intensified his pathetic attempts at looking gruff. "And where were the bodies that we hauled out of the Kopru Ruins? Braeden dropped his fork and looked slightly ill.
“That explains the smell,” Kristoff snorted. So, after breakfast we got busy cleaning up from our last adventure against the Ebon Triad and the Kopru ruins. Braeden and Karina sorted out the corpses from his room and got them back on the borrowed wooden carts outside the shrine. Then, they took them to our old friends at the Church (slash) Temple of Wee Jas. They met Krustal, Wee Jas’s half-orc mortician at the back of the building and helped him load the bodies into the incinerator after a cadre of Wee Jasian acolytes performed last rites on each of the bodies. Meanwhile, I took another cart and loaded it up with the furniture, art, tapestries, bottles of wine, wine racks, a pony keg of beer, several bookshelves and a large stack of everburning torches. The heatless torches looked odd sitting amid the pile of flammable loot, but I didn’t care. I hauled the cart to Keygan’s Lockshop, found the entrance to Jzadirune and The Hold and handed over the stash to the smithy wives. It seemed like such a huge amount of stuff when I loaded in onto the cart, but once down in the immense Hold it got swallowed up by the sheer size and relatively empty rooms. I realized I was going to have to sack a heck of a lot more bad-guy hideouts before the Hold looked adequately lived-in again. Back at the Pelor Shrine, Listens To Wind and Kenric gathered up all of the food and clothing we had looted from the Triad and hauled it off to the Lantern Street Orphanage where Lady Gretchen was thrilled to receive the donation. We didn’t tell her that a lot of those clothes we took off dead bandits. I lived in that orphanage for many years. The kids there didn’t need to know where the stuff came from. Trust me. It was just better to keep silent. About noontime we all ended up back at Pelor and decided to have lunch together over at the Tipped Tankard, our favorite hangout. Besides for lunch, which was usually pretty good, we had a special mission to perform. “You say you found this where?” Gregor Yvonovich, the tavern’s keeper, asked incredulously. “Yep. Mighty perceptive of you, Vichy. Since it has your crest carved into the side and the words…Tipped…Tankard….carved underneath it,” I grumbled back at him. “Do you know what this mean?” he asked with wonder in his eyes. “You can read?” I guessed. “Yeah, do you think he took off with all of the good ale, too?” I joked. Really, except for that super fancy stuff that costs you the price of a good axe, the Tipped Tankard had the best ale in town. “Where did you find this, again?” Gregor asked, holding the ancient beer stein up to the faint lantern light inside the dark and gloomy tavern. His eyes were alight and a rare smile cracked Gregor’s face. We spent the next half-hour relating the tale of the Moonhowlers versus the Ebon Triad to Gregor. A small crowd gathered and listened in. Who needs a bard? I’ve heard Annah Taskerhill sing, but she can’t tell a good tale to save her pretty hide. Me and Listens told the tale this time and we got us all bowls of fried sweet potato chips and greasy bacon for free. McCreedy entered the tavern just as we got to the part in the story where he set off the third glyph of warding trap, making him both deaf and blind. That got a hearty laugh from everyone at the bar. McCreedy insisted on retelling it, but when he told it he cut the number of sprung glyphs down to two and explained that he was only just blind, not deaf. No one really believed him, though. Listens To Wind eventually drifted off to a table of Town Guard Outriders who had just finished their shift. He spent the next hour, or so, pumping them for information about tracking animals and training them. Seems our albino jungle-boy is thinking about going into business for himself. I overheard he and Karina talking the other day about the possibility of using Drakthar’s old lair as an animal training ranch and adventuring school. After lunch we all (including Gramps! ), headed over to Skie’s Treasury with a few magical trinkets we wanted her to identify for us. We figured we could sell anything to Skie that we didn’t want. Skie was so happy to see us she served us fresh brewed caffee and just-out-of-the-oven scones. We spent the next few minutes regaling her trumped-up stories about our latest adventures in the Kopru Ruins. We described wicked sword fights, furtive skullduggery and frantic melees. She listened to each word with rapt attention. After our stories were finished, we politely asked Skie about how things had been for her. She grimaced at that, but we pressed her for information anyhow. 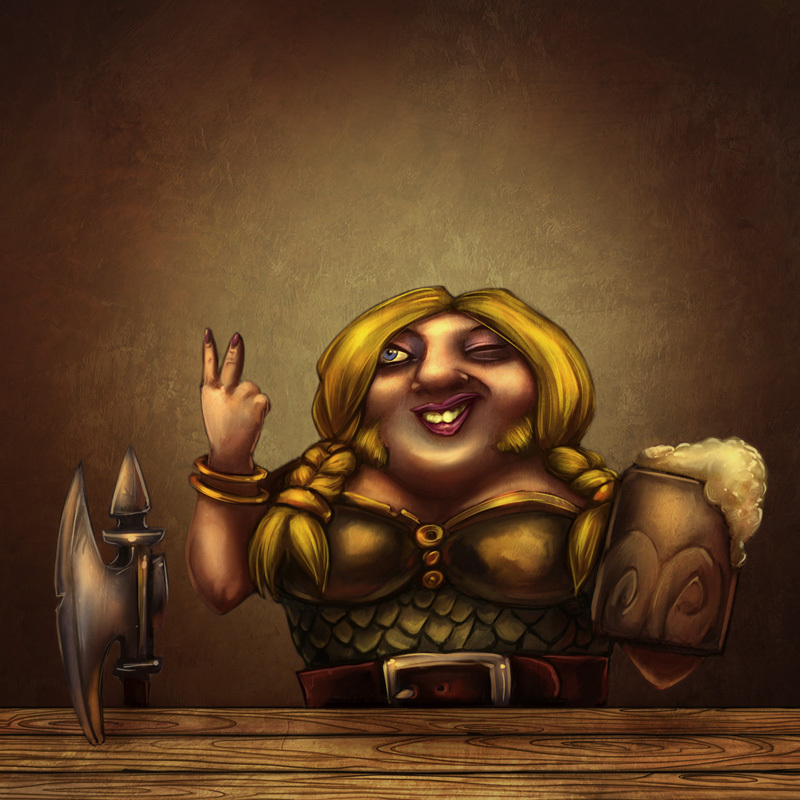 Then she spilled the beans and told us how, despite Mavuu’s best efforts, the Town Council had voted to raise the taxes on the merchants of Cauldron. We spent the next hour handing her the collection of magical treasures we had fished out of the Kopru Ruins for her to examine. In exchange for her services we handed her a cloth pouch filled with five hundred gold coins. Skie was able to tell us quite a bit about the mysterious arcane objects we had pilfered from the ruins. After Skie’s we went to Gurnezarn’s smithy, home to the only Cauldron metal smith not currently under the thumb of the Lathenmires. Phalian Gurnezarn is also my boss. We sold a lot of things to him, as well as to Fine Leathers, our favorite peddler of all things leathery. Finally we returned the last of our borrowed carts to Wee Jas and gave the borrowed rowboat back to the dock-fisher we met last night, throwing in the extra oar we found down by the giant seal-demon nest as a bonus. Hey, when you help out the Moonhowlers, good things are bound to happen to you. For lunch we decided on the Drunken Morkoth, but when we arrived, lo-and-behold, we found none other than the elf twins Fario Ellegoth and Fellian Shard having tea. We waved politely and then sauntered off to a booth in a quiet corner that seated the six of us. No more than five minutes passed before what appeared to be a middle-aged dwarf wearing a foppish hat entered the tavern and at his side was the sleek and sultry wizardess, Content Not Found: null_. We knew the dwarf to be a common traveling merchant by the name of Content Not Found: null_, but what most people didn’t know was that his apparent dwarfiness was a disguise and behind the illusion he was really a powerful human wizard known to us as Content Not Found: null and the current leader of the Pathfinders of Fharlanghn, of which the aforementioned elf twins were members. During our previous adventures this year, the Pathfinders had come to our aid…well, sorta *snort*. Their group was secretly operating in the Cauldron region on a mission in the name of their god to uncover a mysterious and powerful evil force. Meerthan eventually came to believe their group and ours (the Moonhowlers!, that’s us! and I never grow tired of reminding you all of that!) shared a common interest. Together, along with Celeste, our groups have been working together to deal with the strangeness that has become our beloved city, as of late. We got up from our table in the cozy corner and went to join our fellow conspirators at their table. Meerthan became very agitated at the sight of McCreedy and Karina, our two newest members, and the fact that we were talking so openly about our secret plans in front of them. Braeden offered up a round of hasty introduction which did little to mollify the ruffled false-dwarf. “It’s very nice to meet the two of you,” Tyro/Meerthan grumbled, "I am sure the two of you have been very helpful to our friends, here. But, I would be very keen on having dinner here a bit later with the Moonhowlers. Perhaps Kenric, Braeden, Braenna and Listens To Wind wouldn’t mind joining us over a game of dragonchess?" I could see the smile on Meerthan’s disguised face, but it was clear we were dismissed. Well, my companions were free to join the puffed-up-baboon for dinner if they chose and they could even promise to eat an entire dragonchess set, but I, for one, would not be around to witness it. A human disguising themselves as a dwarf is bad enough, but this rump-fed, hedge-wizard, wannabe was gonna need to learn he couldn’t boss the Moonhowlers around like this and he certainly wasn’t going to get away with diss’in my friends. “Well, Meerthan didn’t seem to happy to see us,” Braeden mumbled as we left the Drunken Morkoth. “What plans! ?” Listens to Wind asked gruffly. The streets of Cauldron were fairly busy at lunchtime with crowds of locals bustling about but I suddenly spied Edith, one of the clerks from the Town Hall and a good friend of mine (she is also an accomplished gossip and a terrific source of information!). “Edith!” I shouted as she was paying for a pineapple kabob from one of the local street vendors. She looked over at me, rather startled before smiling. “Braenna! It’s good to see you again!” she said. LTW grunted once and then laughed loudly, a huge grin spreading across his face and we all continued to walk slowly through the streets of Cauldron, soaking in the tropical heat and just enjoying the sights, smells and sounds of the city. It was good not have to worry about saving the city for once and to just relax. “I’ve been thinking about this tax situation” Braeden said, disrupting the ‘relax-thing’ that I was just getting to know a little better. I guess Braeden’s comment shouldn’t have been a surprise. Ever since the city raised the taxes on the churches and nearly sunk the Shrine of Pelor, Braeden was always thinking about the tax situation in town. We knew relatively little as to why the Cauldron Council was raising taxes, but we could see the effects were taking a serious toll on the townsfolk. Everyone was feeling the pinch. The local merchant’s guild, thanks to the machinations of their leader, Maavu Alrintal, had been spared any increase and, in fact, had procured some sort of promised immunity from the taxes for at least a year, but that immunity, apparently, had dried up. “I think its time we introduce ourselves to this Maavu guy,” Braeden continued. I know he has several warehouses near here, but doesn’t he have an office right around here, too?" “Yep. It’s right there,” Kenric said, pointing to a small, grey stone, brick and glass building nestled into the corner of a larger, three-storied structure between Magma and Lava avenues. We reached the front doors and we all piled into the reception area of the quaint office inside. The floor of the small space was decorated in a thin-pile green carpet. Glass panes on three of the walls let in the afternoon sunlight but the air inside was cool and dry. To our left was a tall, magnificent mahogany and ebony bookcase neatly filled with a rather large collection of books. A long wooden and granite counter ran the length of the far wall. A few pieces of art sat upon the counter and hung from the green and gold painted walls. A bespectacled receptionist sat behind the counter working through a sheaf of fresh tan parchment with quill and inkpot. She looked up at us with a blank expression as we entered. “If you are here to see Master Arlintal, he is away on procurement and won’t be back until next week,” she said to us in a pleasant voice. “Hey! What are these books!” LTW nearly shouted as he caught sight of the bookshelf. LTW had recently taken a great interest in all things booklike. At first I thought it was kind of cute. You know, jungle-ape-boy discovers citylike and then discovers he can read, but now I’m not so sure . . .
LTW bounded over to the books and pulled a few from one of the shelves, thumbing through its fragile pages. “Um…that’s Mister Arlintal’s personal collection. If you are looking for a library, perhaps the Bluecrater Academy would be more … useful to you,” the receptionist said with a pleading note to her voice. I really couldn’t blame her for the pleading look. With his scarred, pale skin, leather trappings and loincloth, LTW looked savage and uncultured, but looks could be deceiving and Listens had been proving to be quite the researcher as of late. The albino tribesman was nearly jumping up and down with excitement. The receptionist stifled a snicker. I’m not sure why she stifled it. I let out a full-on belly laugh and I think Braeden must have joined me with a guffaw or two. We all agreed and the appointment was set. Now let’s just hope we don’t forget. After Mavuu’s, we continued our relaxing stroll around Cauldron, checking out the sights, and the storefronts and just enjoying each others’ company. When dinner time finally rolled around we split up and went our separate ways. Braedon told us he was off to help the poor (which was just code-speak for, “Hey, I’m off to check out the brothels, and don’t judge me!”), while Karina decided to head back to her room at the Pelor shrine to feed Iskthy and play fetch-stick with Hoppy. McCreedy said he wanted to go start work on his “new life” as his share of the treasure in the Ebon Triad Ordeal ended up being more money than he had seen in his entire life. I left to go meet Edith at the Slippery Eel, while Listens to Wind and Kenric left for the Drunken Morkoth to meet the Pathfinders again. Meerthan looked as conspiratorial as ever, an especially difficult feat disguised as the taciturn dwarven merchant, Tyro Amberhelm. At that moment, a small squeak issued from somewhere on Kenric’s person and Smoke, Kenric’s capuchin companion, climbed out from one of his pockets to grab at the roasted date Kenric was about to eat. Kenric snatched his hand away in time to save the morsel, but then thought again and handed the juicy fruit to Smoke who greedily grasped it in his tiny hands and began to chomp away at it. Meerthan looked amused. “Oh, whose the lucky monkey?” he said in an uncharacteristically sing-song voice. It took Kenric a second to figure out Meerthan was referring to Smoke and not Gerran, but the wizard still cracked a wry smile at the thought of Gerran shacking up with the rather comely drow hand-maiden, Shensen. Kenric and Listens to Wind sat across the table from Meerthan and the elf twins, Fario and Fabio…er…I mean Fellian. Celeste sat next to Kenric and the group spent the next half an hour huddled over fried chicken, fresh jungle greens and chilled fruit juice while talking of all things conspiratorial. During dinner Celeste removed a small blue book from her handbag and gave it to Kenric. “It’s a Book of Boccob, Kenric,” she told him plainly. “Thank you,” was all that the astonished Kenric could reply. Kenric looked down at his baked pineapple crumble that had served as their meal’s finale. He twirled his fork through the remains of the sticky desert before beginning his tale. Kenric spent the next few minutes explaining how Smoke, the little monkey who had become his constant companion, had led him first to the burnt house of Maximilian Weer, and then later to the old alchemists burnt out apartment at the Bluecrater Academy. The story eventually led to Kenric and Sasha’s ill-fated activation of the strange portal within the ruins of the apartment and their untimely discovery by the Academy’s chancellors, bursar and cannons. Kenric ended his story with the details about his “trial” in front of the wizard assemblage and his “sentencing” by the Arch-Chancellor. “Ah, I see,” said Meerthan once Kenric had finished the telling. “It is quite clear to me, Kenric,” he continued, "this ‘report’ you are to compose is really much less a “sentence” than it is a test." Kenric looked up, confusion playing across his face. Kenric and Listens both let out a little chuckle at that. “I got to make a sparky stick!” Listen’s shouted out gleefully. Celeste patted the big, albino ranger on the shoulder and smiled up at him. The group sat silently for a moment and then Celeste finally spoke up. “You make it sound like this trip is going to be dangerous,” Kenric said, a little worry apparent in his voice. “Oh, I imagine it will be quite dangerous. I have been to quite a few alternate planes of existence in my lifetime. Many are well-traveled and the dangers equally well documented. Several are downright hospitable, while most are deadly to the unwary or ill prepared. But, I am not so much interested in your survival, but in you impressing the socks off of old Wingate,” Meerthan said with a wide, toothy grin and a flourish of his hands. “Well, we must get started immediately then,” Meerthan said as he stood to leave. Fario paid the barkeep and serving maid a few silver for their meals and the group left the tavern for the darkening streets of Cauldron. “Yes, you are, Celeste,” replied Meerthan. “Who’s Ruby?” Listens asked Celeste. “Wait. You know people who aren’t mortal?” Listens looked even more confused than before. Listens to Wind noticed the light all around them as they walked down Magma Avenue was becoming brighter, the edges of buildings and cobblestones more crisp. The people they passed no longer seemed to notice them, or nod in their direction, as was the polite thing to do when walking the streets of Cauldron. He remembered this happening a few seasons ago when Meerthan invited them to meet Celeste for the first time. And, just like the last time this strange phenomena happened, Meerthan slowly grew from a young dwarf to an older, human man, dressed in dark robes, a pointed hat and a crooked staff. By the time the little group had reached the Forum, the world seemed encased in a bright white light, even though night had settled in around them. The townspeople and guard patrols on the streets passed right through them as if they were ghosts. Meerthan would go on to explain that he had just magically transported the entire group into the Ethereal plane. I’m not much for this magical, mumbo-jumbo, but from what I gather from talking to Kenric and LTW, Meerthan gave them a grand tour of the plane and described in detail how that world works and how it interacts with our own. Shortly after arriving on the plane they were joined by a female dwarf named Ruby. They saw other spirits during the lessons but they didn’t interact with them. Meerthan explained to Kenric all of the things he would need to investigate and report on when he traveled to the demi-plane. He needed to determine the type of plane it was and what relationship it has to our own. He needed to experiment fully with the portal they had found, such as determining if it was a one-way or a two-way portal, how long it stayed open and the things that were needed to open and close it. He also needed to find out if there were other portals on the plane and where they might lead. Kenric would need to report on the properties of this demi-plane, such as how gravity and time worked there. He needed to catalog the minerals, the flora and fauna he found there and if any civilizations lived there and what their political structures were. In short, he had a lot to do. Kenric and LTW returned to the Shrine of Pelor late that night. I was still awake and they were pretty wound up. I gave them each a mug of ale from my stash that I kept hidden in the Pelor store room just to get them to calm down. They talked non-stop about their discoveries and something called Leicester’s Gap and The Far Realm. I listened for awhile and then turned in for bed. My night had been fairly quiet compared to theirs. I spent most of the evening at the Slippery Eel tavern with my friend Edith. The entertainment for the evening was a half-elf lutist named Monroe. I’ve seen him before. He’s a low-life bard that doesn’t play very well. Meh. Edith bought my dinner so i bought the pitcher of Cauldron Sangria. I also ordered a pticher of mead. I told her about the adventures the Moonhowlers had been on and all about my date with Kraghammer. She said she knows of Kraghammer and that he was a spoiled kid. Both of his parents had died of the Red Plague nine years ago and he had since withdrawn into his music business. She told me he is rather ‘experienced’ when it comes to women. Edith seemed to think this was a good thing…I’m not so sure. Once I was sure Edith had downed a solid four flagons of sangria and was getting a bit giggly, I asked her about the tax situation in Cauldron. Why the heck was the council cranking the taxes up so much? She told me the council had hired diviners from Sasserine. to get some sort of idea about a recent rumor of a threat to Caudron. The diviners pointed to the fire giant kingdom and also divined a name, Eclavdra. I shook my head and said I had never heard of it. The council then asked the Bluecrater Academy for help researching this name. The mages reported back that the name was very difficult to track down and rarely found printed, but that Eclavdra is thought to be the current high matron of the drow. No expense has been spared to find out more about the fire giants, Eclavdra and what they might have in store for Cauldron. Skellerang, the mayor and a few of the other council members have demanded the town guard be drastically increased. The truth of it is, nobody will be spared from these tax increases. They need more gold in a bad way. Sasserine doesn’t have an army and the requests to our sister city in the jungle have all been ignored. Even though they still maintain just a single ambassador, The Scarlet Brotherhood is a threat to Sasserine and they think they have bigger problems on their hands. In the meantime, Mayor Sevarant and the Council plan to raise an army of their own, and that army is going to cost us. A lot. I then asked about what was new with the investigation of those strange jester coins. It turns out there was plenty of disagreement over the coins among the mayor and council. They pretty much agree that the coins are now coming from outside sources, but they just don’t know from where. They have noticed that at first the jester prints appeared on locally minted coins, but then the silver ones started showing up and they were clearly minted elsewhere. Just recently we have seen gold jester coins. The council are convinced that the new coins are not affecting the economy at all, but they feel it is a message that is being sent by, most probably, The Last Laugh. What that message is, exactly, is unclear. We talked at length about Crater Lake, seeing how we just spent several days swimming around in a lake under the lake. Edit knew a little bit about it, too. She said that Crater Lake is not an isolated body of water, but that It’s runoff feeds hundreds of lakes and ponds both inside and outside Cauldron Mountain. I asked Edith about the mysterious leader of the Last Laugh but it seems nobody knows who this person is and where they are getting the money to fund their operation. She did say that the old Guildmaster of the Alleybashers was Jakob Thero and he was also the former proprietor of this very inn! Well, until his head washed up on the shores of Crater Lake. Edith also told me the Mayor just signed a decree that next season the Stormblades will be honored as the Champions of Cauldron. Apparently, they recently cleared out the sewers under the city of vermin and stumbled upon a dangerous cult of fishmen who worship three gods. The Stormblades somehow managed to wipe out the fishmen and ended the threat of the three evil gods and now the city want to give them a big party. Whoopee! When I asked about Davked Splintershield, Edith said she has seen a shift in mood lately. For the past few years the ancient dwarven noble has been both caring and said. His energies were spent on the city itself, she thought maybe to fill a gap left by the departure of his two sons. Now he is just apathetic and angry. But, we agreed, apathy in Cauldron these days is pretty normal. Then we discussed the Malachite Hold. Edith told me the last time the Hold was taxed was when Zenith still lived there with his clan. The city had levied a 900 gold tax on them that year so its probably going to be a lot more when the city gets around to taxing me this year. Eventually we ended the evening and I headed back to the Shrine of Pelor to say good night.